Our unquenchable thirst for best available science is finding a friend in a national movement to use citizen science to crowdsource data. 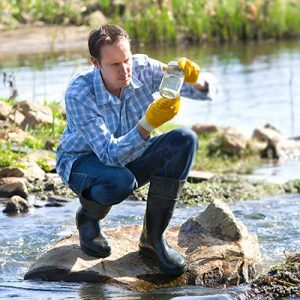 state and federal agencies looking to increase the scope of their water quality and quantity monitoring. The data will also help to deepen their knowledge of the resource." Nationally, you can learn more about this burgeoning trend at citizenscience.gov. The Forum conference will feature a citizen science session highlighting how these activities are becoming a local resource. "The opportunity has gone beyond K-12 students collecting data to support real-world investigations in the classroom," said Forum Executive Director Andy Dunau. Kolok's IWRRI team are national leaders in making this leap into mainstream science. They will lead the session off with agency acceptable approaches to collecting and storing data, field testing tools and community training. Said Kolok, "There's a high threshold for agencies to accept data, and we are striving to meet that threshold." Locally, there are citizen science activities both currently in play and being planned for the near future. At the conference, the Spokane Riverkeeper will share a citizen science study focused on sediment loading and turbidity in Hangman Creek. This is the second year Riverkeeper volunteers are sampling water from December to June in order to capture the pulsed storm events that monthly sampling from Ecology doesn't capture. Their goal is to better understand the effects of sediment loading and turbidity as factors affecting healthy redband trout and downstream algal blooms. Click here for more information. IWRRI will also share ambitious plans to use citizen science to test for phosphorus and nitrate at one-mile intervals along the Spokane River. Said Kolok, "We'd like to work with community groups and schools to identify and train the 100 citizen scientists we'd need to make a go of this." Said Dunau, "We're at the leading edge of something important. Citizen science builds on the culture of volunteerism that's taken firm root in the Spokane River with clean-up and streambank planting. Now people are being asked to help scientists understand the intricacies of the ecosystem." At future conferences, the Forum expects to also highlight exciting work being done by the University of Idaho Extension and others focusing on everything from aquatic weeds to stormwater management.